Hervey Bay is known for its amazing whale watching tours, but there is so much more to do, especially for the little ones! 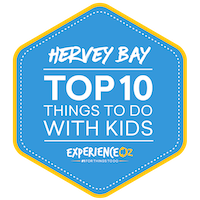 We break down what we feel are some of the best – and best value – attractions in Hervey Bay and surrounding areas that the kids will love! Go wild with a fun day at the Hervey Bay Go Kart Track! This fun activity is great for all ages to race against the clock and each other. The Hervey Bay Go Kart Track is unique compared to other race tracks as it offers tandem and single go karts to encourage as many people as possible to give go karting a try. Passengers as young as 2 years old can ride alongside an adult to experience the joy of racing around the go kart track with mum or dad. Older children aged 9 years old and 145cm tall can jump in their own go kart and zip around the track on their own racing their siblings or friends. "The Hervey Bay Go Kart Track gives the family a chance to embrace their competitive side and race against the clock and each other in single or tandem go kart track at very reasonable prices." Get a little kick of adrenaline speeding around the 600 metre track at top speeds of 40 km/h. Racers can choose between 10 minute, 20 minute, 30 minute or 1 hour long sessions (2 x 30 minutes) with very reasonable prices compares to other go karting tracks in metropolitan areas. While you are here, bring along the swimwear and spend an hour or two cooling down in the pool or splashing down the 120 metre long water slide. The Go Kart Track has ample seating and undercover areas for spectators as well as picnic tables and BBQ facilities available for patrons to use. The Hervey Bay Go Kart Track is open Thursday to Monday from 9.30am to 5pm and 7 days a week during the Queensland school holidays. Technically this isn’t in Hervey Bay, but it is only just over an hour away easily reached by car, and it is worth it! Home to the largest group of nesting marine turtles on the eastern Australian mainland, the kids will be so excited to get so close to these beautiful animals and they might even get the chance to touch them! Between November and January guided walking tours will take place to watch on as the turtle’s nest on the shore and then from January to March the guided tours will take visitors to watch the little baby turtles hatch and find their way to the ocean! The centre is there to educate everyone about turtles and the special journeys they go through when at the centre. This is a unique opportunity that will put a big smile on the little one’s faces and for a $2 donation, they’ll also receive a special certificate to remember their visit. This fun and affordable reptile park will the kids ‘oohing’ and ‘ahhing’ at the exciting range of animals on display. Around a 45 minute drive from Hervey Bay at Childers, the park is kept in immaculate condition and is home to enclosures that are extremely animal-friendly and well maintained. It’s not the biggest zoo but it is a great size with a great range of animals. The little ones will love getting the chance to hold a slithering python or baby salt water crocodile! This fun and affordable reptile park will the kids ‘oohing’ and ‘ahhing’ at the exciting range of animals on display. All included in the price, visitors also get access to two different snake show, including the venomous snake demonstration, a crocodile show, reptile handling demonstration, koala talk, guided tours of the area as well as entry into the kangaroo and emu reserve. The park is open throughout the week excluding Wednesday and is open from 9:30am until 3pm. Get off the grid and take the family back to nature with a mini getaway and horse riding adventure at the Susan River Homestead. The homestead is situated on a 1600 acre property in the Fraser Coast region, just 10 minutes drive from the centre of Hervey Bay. The homestead welcomes guests to their property to join daily horse rides around the property and through bush land on horseback at 9.30am and 2pm. With over 60 horses to choose from, each person is guaranteed to be paired with a suitable horse that matches their age and horse riding ability. The 2.5 horse rides will take you on a peaceful tour through the property and surroundings bush land to see cattle and other wildlife led by your guide. "Get off the grid and take the family back to nature with a mini getaway and horse riding adventure at the Susan River Homestead." The youngest rider that can be catered for are children 4 years old who will start out being led by a guide on a pony ride. These scenic horse rides encourage the family to get outdoors amongst nature and switch off from technology for a while to appreciate the beautiful surroundings. Whether it is your first ride or your 100th, this is an easy and gentle ride that everyone can enjoy and a great way to see a regional part of Queensland. Susan River also offer evening rides once a month which give riders the chance to enjoy an easy horse trail ride to the river before enjoying a 2 course BBQ dinner around a bonfire under the stars. Adults and children are both welcome on these rides, however, if there is someone in your party that does not want to ride then the option is available for them to ride in a vehicle and meet up with the other horse riders so everyone can be a part of the experience. Hervey Bay’s water park is not only great fun for everyone but it’s free! The eco-friendly water education park was opened in 2009 to educate people on the water and its sustainable use. The park is described as water infotainment for the way it educates and entertains the young ones. If you’re worried about your little toddlers, don’t worry! The Totside area is designated specifically for kids under the age of 5 to enjoy. This is a safe area for them to play and enjoy the water park out of harm’s way, away from the energetic big kids. The park also has Flipside Boardride, a wave machine for the daring young ones to test their skills and see if they can stay up on the board. Even though the park is free, the wave rider chargers $6 per surfer. The waters surrounding Hervey Bay are rich with wildlife and the best way to view them in their natural habitat is to join a marine eco cruise. Hervey Bay Eco Marine Tours run half day tours in search of local marine life including turtles, dolphins, sea birds and reef sharks in one of the Australia’s largest glass bottom boats. View wildlife and coral gardens right under your feet and around the vessel as you cruise the gentle waters around Hervey Bay. The informative cruise will take you past local landmarks including Round Island and Pelican banks with commentary about the local indigenous Butchella people. "The waters surrounding Hervey Bay are rich with wildlife and the best way to view them in their natural habitat is to join a marine eco cruise." Best of all, this tour also doubles as a snorkel tour. If you come prepared with your swim gear, there is the opportunity to jump in the water and swim freely alongside the playful marine life that you spot during the tour. This value for money cruise includes a healthy lunch and refreshments on nearby Round Island. There is even free time in this half day adventure to swim in the crystal clear waters or stay dry and white sandy beaches taking in the serenity. Hervey Bay Eco Marine Tours depart daily from the Great Sandy Straits Marina at 10.30am and return around 2.30pm. Reefworld Aquarium is one of Hervey Bay’s iconic tourist attractions with unique displays of marine life. Learn more about coral reefs and tropical fish here at this all-natural aquarium with sand filtered sea water and natural sunlight. See Sharks, Queensland Gropers, Green Sea Turtles, tropical fish, reef fish, crabs and more here conveniently by the beach. "The aquarium is great for kids who can gain a deeper understanding of the marine world and even feed and touch some of marine life here including turtles and sharks." The aquarium is great for kids who can gain a deeper understanding of the marine world and even feed and touch some of marine life here including turtles and sharks. This is a great educational activity where kids can get hands on and interact with some of marine life. Reefworld Aquarium is open daily from 9.30am to 4pm with plenty of parking available. Hervey Bay and the Fraser Coast is home to a number of unique and world heritage listed natural attractions as well as natural marine phenomena including the annual whale migration. Learn more about the region at the Fraser Coast Discovery Sphere with interactive exhibits and activities perfect for children. The first thing that you will see as you approach the Fraser Coast Discovery Sphere is the 12 metre high whale sculpture of Nala where kids love to pose for photos. When inside, visitors can learn more about the majestic Humpback Whales that migrate to the calm waters of Hervey Bay to give birth to their calves before travelling South back down the east coast. "Learn more about the region at the Fraser Coast Discovery Sphere with interactive exhibits and activities that are perfect for children." The centre also boasts an underwater encounter with whales and a life size skeleton so that you can truly understand the real size of a whale. Don’t forget to visit the theatre for an immersive experience with imagery of Fraser Island and the Great Sandy Strait and incredible artwork celebrating the traditions and stories of the Butchulla People. The Fraser Coast Discovery Sphere is open daily from 10am to 4pm. Visitors can enter with a gold coin donation. The adventure playground is the newest playground to hit Hervey Bay with a 7.3 metre high tower with views of Hervey Bay and a giant spider climb climbing structure that will tire any energetic child willing to take it on. Since opening in December 2017, the playground has become a huge hit with children who love nothing more than to run around and burn off some energy. "The adventure playground is the newest playground to hit Hervey Bay with a 7.3 metre high tower with views of Hervey Bay and a giant spider climb climbing structure that will tire any energetic child willing to take it on." The playground is striking with bright colours, giant slides, crazy swings and the location could not get any better than on the Esplanade near shaded BBQ and picnic areas and toilet facilities. Pack a picnic and bring along your bikes and scooters as the Esplanade has 16km of waterfront walkways and cycle paths that you can explore once the kids have had enough at the Hervey Bay adventure playground. This is a budget friendly way to entertain the kids and spend time together as a family by the seaside on a warm Queensland day. If you are looking for a half day activity for the kids then why not visit the Maryborough Railway Museum and ride the historic Mary Ann Steam Train. The lovely museum is run by volunteers who share a passion in restoring heritage trains and have a small museum dedicated to all things railway memorabilia in the railway complex on Lennox Street. The museum is open every Tuesday, Wednesday, Thursday and Friday morning from 9am to 12.30pm with a $2 entry fee per person. For many regional towns in Australia including Hervey Bay and Maryborough the railways were and still very much are a lifeline and method of transport to get to the major city centres in Queensland. "See a piece of railway history here as the volunteers operate a Mary Ann replica steam locomotive and are in the process of restoring the B15 locomotive #299." See a piece of railway history here as the volunteers operate a Mary Ann replica steam locomotive and are in the process of restoring the B15 locomotive #299. Be sure to time your visit on a Thursday or the last Sunday of the month when you can have a short ride on the Mary Ann Steam Train between 9am and 12.30pm. The short, scenic ride will take you through Maryborough’s Queens Park and also coincide with the operating days of the Maryborough Heritage Markets so you can grab some lunch and wander through the markets after exploring the Railways Museum. Prices start from $3 for Adults, $2 for children or $7 for a family. Come along for a steam train ride and a history lesson at the Maryborough Railways Station Museum. Known as the unofficial 'Whale Watching Capital of Australia', Hervey Bay on the central Queensland coast, is a laid-back and sunny seaside destination that provides all the relaxation and aquatic-focused benefits of some of the country's bigger-name destinations without all the excess crowds. Featuring some truly spectacular stretches of coastline teeming with marine life as well as the incredible duo of both Lady Elliot Island and Fraser Island close by, it's an ideal getaway destination for those who love the combination of water, sunshine, peace and quiet on their holidays. As a result, there's plenty of opportunities to get out on the water for some fun. While whale watching is an obvious calling card as a large number of these gentle giants pass through during their annual migration each year, there's far more to Hervey Bay than this. Divers will love Hervey Bay for its range of extremely accessible dive sites and snorkelling opportunities, while those who prefer their fun above water can take part in the likes of scenic cruises, waterskiing, kayaking, surfing and swimming. Add to this some charming coastal history and plenty of greenery to explore inland, and you've got a great all-around travel destination that checks all the boxes. 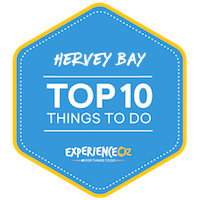 With all of the above in mind, here's our list of the Top 10 Things to do in Hervey Bay & surrounds. One of the world's most important social hubs for humpback whales, Hervey Bay is a hotspot for whale viewing experiences to an extent that is has become an ingrained part of the region's culture. A safe and calm resting place for whales is essential during their annual migration, and during the period between April and October Humpback whales can be found in large numbers using the Bay as a resting ground to recharge their batteries, relax and play. This playful condition of the whales – along with easy access from the many coastal berths Hervey Bay offers – thus makes it extremely easy to get some of Australia's best up-close whale encounters as they are typically in a relaxed mood, and their inquisitive nature means they'll often approach the vessels of their own free will. If you're looking for the chance to experience this wonderful natural phenomenon for yourself, there are several quality options available each with different itineraries and with their own perks, and you'll thus be spoiled for choice here. 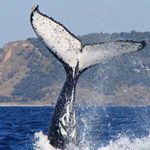 The likes of Tasman Venture, Freedom Whale Watch, Quick Cat and Spirit of Hervey Bay all offer quality whale watching tours that can be combined with other options to include the likes of dolphin spotting or trips to Fraser Island on the itinerary as well. Clear and spacious viewing decks that provide uninhibited views of the whales make for a wonderful viewing experience out in the open air, while some come with underwater viewing windows providing the chance to get a below-the-surface vantage point from which to see these massive mammals from a wholly new perspective. They're well-organised operations that typically feature modern and purpose built whale watching vessels with plenty of seating that will have you out on the water and up close with the whales in no time. Further insight into the habits, diets and lifestyles of the whales are is provided by a combination of expert commentary delivered via onboard speaker system, as well as the enthusiastic staff who are very knowledgeable about all aspects of whales in general - it's obvious that all-things-whale run through Hervey Bay's veins. Throw in some extra trivia and tidbits on the whales and the region as a whole added in for good measure, and you'll come away with an entirely new level of appreciation for these peaceful creatures. During the trip whales can often be seen travelling with their calves alongside the boat, while the skippers will endeavour to work together with other boats to share spotting locations and travel to the most active groupings of whales. Seeing the agility of these huge animals breaching and splashing is an awe-inspiring sight, and the sheer quantity of whales in the Hervey Bay region means that you'll almost always encounter substantial amounts of active Humpbacks as well as other wildlife such as dolphins and even dugongs along the way. xFor added peace of mind, a whale sighting guarantee is also often offered as part of the package that provides a free return ticket on the rare occasion that whales can't be spotted. In short, if you're going to be in Hervey Bay during the 7-month window of the whale's migratory season, heading out on a whale watching cruise should be at the top of your list – its raw natural beauty in a nutshell and one of Hervey Bay's true calling cards. Most top Aussie travel towns and cities have at least one trademark natural calling card that set each of them apart, and the Hervey Bay region's offering is one of Australia's most impressive. Fraser Island – the largest sand island in the world – lies just a short distance off the coast of Hervey Bay and is an amazing display of the variety of Aussie nature's biodiversity and geography at work. It's a World Heritage site for a reason; throughout its roughly 120km-long stretch, there are a range of sights, colours and features that make it a veritable “region” in itself – sprawling sand dunes famed for their multicoloured hues, numerous inland freshwater lakes, lush forested areas and an array of distinctive wildlife are just some of the wonders of Fraser Island. With no notable major townships on the island, and owing to its protected nature, Fraser Island remains relatively untouched by the negative influences of mankind despite being such a popular travel spot – as a result, all of its natural offerings are pristine and unadulterated, and all tourist operations on the island are conducted with an eye towards respectful eco-tourism. The island is largely draped in vegetation which makes for endless opportunities for exploration, while over 40 freshwater lakes provide the chance for refreshment bordered by picturesque surrounds. Add to these distinct architectural features such as its heritage-listed lighthouse at Sandy Cape and the beach Shipwreck of the S.S Maheno and Fraser Island offers a nearly endless array of things to see and do that makes a multi-day stay on the island all but essential. Wildlife also plays a large part of sightseeing here, and Fraser Island is famously home to the Aussie dingo which has become something of an icon of the island. Birdlife also features prominently on Fraser, with hundreds of species of various kinds of owls, parrots and birds of prey adding both an additional visual and aural highlight to the island's atmosphere. In the water, meanwhile, Fraser Island also delivers – dolphins can be found in abundance, while both the beaches and the island's lakes serve as home to turtles. If you're lucky, you may even encounter the rare dugong swimming in the waters just offshore. Getting to Fraser Island from Hervey Bay is a relatively straightforward affair – there are regular ferry/barge services that run from River Heads roughly 20 minutes south of Hervey Bay can take 4WD-capable offroad vehicles as well as passengers across from the mainland in roughly 30 minutes. It's once on the island itself that navigating your way around can become something of a chore to the uninitiated; high-clearance 4WDs are the only type permitted, and as a result paid tours to Fraser Island are exceptionally popular. 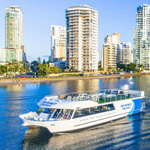 Those looking to book a tour from Hervey Bay to Fraser Island will be spoiled for choice, as multiple quality tour operators such as Fraser Island Adventure Tours, Whalesong, Fraser Island Explorer Tours and Nomads Fraser Island all provide itineraries for exploring this slice of island beauty. 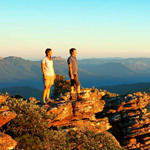 Tour itineraries range from shorter half-day trips to comprehensive multi-day adventures either with camping or eco-friendly accommodation options, with the extended tours encompassing all of Fraser's essential highlights such as “sand highway” 75 Mile Beach (voted one of our Top 10 Beaches in Australia by the public), Lakes Mackenzie and Wabby and the Champagne Pools, Eli Creek and more. Varying levels of inclusions and optional extras in terms of food and activities differ by operator – simply browse through the top options recommended above and you'll no doubt find a plan that fits both your interests and budget levels. Fraser Island isn't just a must for those visiting the Hervey Bay region – its many wonders make it well worth the trip from all over Australia and a strong contender for one of the country's best island adventures. If there's any part of Hervey Bay that could be seen as the hub for travellers, the lovely waterfront Esplanade area would likely be it. Winding its way along the beachfront, it's a roughly 17km-long slice of tourist-friendly charm that stretches through multiple suburbs and offers an array of options for shopping, dining and accommodation. Add to all of these conveniences the fact that it's naturally a wonderfully span stretch of coastal sightseeing and there's a reason this is one of the first spots most first-timers to the Hervey Bay area choose to stretch their legs and get a sense of what the area has to offer. This is a great example of an Australian foreshore area that's up there with the likes of Cairns and the redeveloped Gold Coast hub at Surfer's Paradise, albeit on an even larger scale. The Esplanade at Hervey Bay serves as both a walkway and cycling path and is bordered by the beach for almost the entire duration, offering relaxed and scenic cycling routes as well as plenty of greenery and shade for picnics, relaxing and getting out of the sun. There's also plenty of exercise equipment for the active types, as well as regularly located seats for couples overlooking the water dotted throughout and barbeques, toilets and various other facilities along the way. Fresh air and the cool sea breeze of this part of town make for a generally pleasant climate that's always enjoyable to walk even in winter. Dining at some of the restaurants and cafes across the road makes for a lovely outlook, and given the length of the Esplanade there are an array of options to choose from, particularly in the suburbs of Torquay and Scarness; early-evening dining around sunset is highly recommended, and its possible during an extended stay at Hervey Bay to simply work your way along the Esplanade's eateries and sample a new cuisine each evening. Fashion and other smaller retail outlets are also prevalent here with prices generally reasonably priced compared to more central locations as well, so shopaholics will no doubt be able to find themselves an item or three of interest. It's the beach itself however that is the obvious highlight of the Esplanade, and while it does not run for the entire expanse there are various entry points throughout where you can break off the path and head onto the sand. It's a lovely clean and safe beach in general and is well taken care of without the litter problems that plague some of Australia's popular coastal region's beaches – a point of pride for Hervey Bay locals who endeavour to keep it in tip-top condition. Calm and sheltered waters make for a great spot for a swim that's largely child-friendly, with multiple segments that are patrolled by lifeguards. If you arrive at Hervey Bay for the first time and aren't sure where to head, simply point yourself in the direction of the Esplanade and go from there. While perhaps not traditionally seen as a historic area, Hervey Bay provides visitors with the chance to step back in time with a visit to the Historical Village and Museum exhibit. Home to a variety of buildings and themed memorabilia dating back as far as 1873, you'll walk away with new knowledge about the region's history. A must-visit for the history buff, the site encompasses 19 period-specific buildings each containing a range of exhibits from the early days of Hervey Bay's formation including household and farm items for use both in and outdoors from the 1800s. Each of the buildings has specific theming, with highlights including an 1800's-era country house and a convenience store stocked with a range of knick-knacks that serve as a striking reminder as to how much times have changed. Other items such as vintage vehicles and army memorabilia round out the static offerings, which are augmented by a number of live displays and interactive opportunities. Visitors will have the chance to see various old-world arts and crafts such as blacksmith and woodturning demonstrations, and even take part in learning and trying their hand at traditional rope-making techniques. Kids, will love the toy displays and games of these olden times that aim to involve the whole family, and the opportunities for learning and gaining and appreciation for current technology here are palpable. The Hervey Bay Historical Village and Museum is staffed and kept up to scratch by a group of passionate volunteers from the local historical society who have done an outstanding job of continually growing and adding to the museum over the years. There's an entry fee that goes towards the not-insubstantial maintenance of the attraction, and given that it offers several potential hours of historic entertainment and insight towards a good cause, it's well worth the investment. The Hervey Bay Historical Village and Museum is open for public visits during the afternoon and sits in a convenient location just off the esplanade making for easy access from most accommodation situated near the waterfront. It's a great little embodiment of what life used to be like not just in Hervey Bay but Australia as a whole, and given its uniqueness it's a charming little slice of life from a couple of centuries ago that offers something few other spots can. The neighbouring Fraser Island is a beautiful destination to visit, but seeing it from above with a tandem skydive takes the views to a whole new level. The stretches of vast sandy beach far below make for an idyllic drop zone, and local operator Skydive Australia provide adrenaline junkies with the opportunity to take the plunge with a range of skydives above the island. As one of the quintessential bucket list items, skydiving isn't something that most take lightly, and Skydive Fraser Island know this and are incredibly supportive and encouraging as a result. You'll join them after a safety briefing and board a small light aircraft that helps add a touch of personalisation to the activity. As the experience works out to be a combined scenic flight/sightseeing journey and adrenaline rush in one, they're always providing you with details on the surrounding area and sights during the ascent, which includes a wonderful outlook over Fraser Island itself – which can help serve as a welcome distraction from the nerves for some. All the sightseeing in the world can't compare to the sensation and thrill of a free-fall with skydives operating at a height of 10,000 or 14,000 feet. The 10,000ft dive includes a few seconds of freefall while the 14,000ft jump includes up to 60 seconds to be enjoyed before the chute opens and the more scenic portion of the jump begins. Skydives are done in tandem so you'll have support all the way to the ground, and the sense of reassurance both before and after jumping out the door is second to none here. Once the parachute is deployed, the spectacular colours of the Fraser Island the great Hervey Bay region become even more apparent. If you've ever wanted to check skydiving off your list, then Fraser Island offers an impressive and visually striking environment to do so. Hervey Bay wouldn't be Hervey Bay without its wonderful coastline and first-time visitors can gain a further level of understanding of the unique geography and biodiversity that it offers by paying a visit to the Fraser Coast Discovery Sphere. This attraction helps provide added context to some of the region's staples such as whale watching, the surrounding islands and waters and more. A distinctly recognisable building due to both its modern layout and striking life-sized statue/sculpture of a breaching whale out front, this attraction is a good springboard to spend at least a short amount of time at before you embark on essential day tours of the region for whale watching or on a trip to Fraser Island. The Fraser Coast Discovery Sphere details Hervey Bay's reliance on the Humpback Whale in both economic and environmental terms, utilising plenty of interactive informative displays and video documentation that helps prove more interesting as opposed to simply reading. Fraser Island's history and ecology are also covered in detail here, which makes for a worthwhile substitute for those who won't be able to make it out to the island and a solid compliment to the period before a visit. The attraction also incorporates a nod to the significant indigenous Australian history of the region including stories, artwork and other traditions as well as providing kids and adults alike with a place to relax and absorb an entertaining underwater theatre experience on a huge screen in cool air-conditioning. Everything on display has high educational value and regardless of how much time you spend, you'll no doubt come away with a new appreciation for the Hervey Bay region and its Great Sandy Biosphere environment as a whole. Kids can apply themselves to learn via the likes of puzzles and a racing kangaroo exhibit that makes learning fun. Part exhibition, museum and information centre, the Fraser Coast Discovery Sphere offers plenty of brochures and other documentation on regional highlights as well as an art gallery and miscellaneous souvenirs should you wish to purchase any mementoes of your trip. If you're looking for an easy overview of the Hervey Bay region prior to the rest of your journeys, this is the place to visit. The sunny and warm Queensland weather that makes Hervey Bay such a joy to visit can also produce a number of days where you and the kids are looking to cool off, particularly in summer. It's only fitting, then, that local authorities and enterprises have sought to produce water-themed attractions and chief among these is the WetSide Water Education Park. This has become a favourite gathering point of locals and their kids since its opening back in 2009. With its proximity to the nearby waterfront and beach making it easy to combine two different types of water experiences for a full and enjoyable day outdoors. This is a hybrid water park and educational facility that puts a combined focus on interaction and educating youngsters about water consumption along with pure refreshment, and in that, it greatly succeeds. The facilities here walk the line between entertaining and educational and include a mixed bag of water fountains and slides of various sizes that are all accompanied by signs explaining how the WetSide attraction uses storm water and other techniques to conserve water. This is a completely free attraction that's both well-supervised and safe, having been designed from the ground up with smaller kids in mind. Add to this its section dedicated to toddlers featuring colourful sculptures, fun water jets and a minimum of underfoot water and its a place that even those with babies can get something out of. On the other hand, the main all-ages area includes the aforementioned slides and fountains as well as water guns, spouting whales, and a tipping bucket. There's also a paid simulated surfing ride/attraction which is an optional and fun sideshow to the main proceedings for those looking for a challenge. WetSide Water Education Park also provides plenty of storage for items for the family should you wish to bring along additional supplies such as extra towels or equipment for a picnic then you'll be well served here. Few attractions combine a family-friendly target, variety of things to do and a well-constructed layout for free, but WetSide is one such spot that makes it a must-visit during Hervey Bay's warmer periods. Those looking for some more thrilling family fun in the Hervey Bay region can venture to a long-running staple that provides some high-speed action on four wheels, the Hervey Bay Go Kart Track. Having been in operation for over 20 years the track is suited to a range of different driving levels, making it the perfect activity for families. The various different levels makes it welcoming enough so that even nervous first-timers will be able to comfortably participate. The karting centre also accommodates for those not racing with a waterslide available for those eager to get wet and areas to take in some awesome views over the beaches and the track. The waterslide offers some off-track refreshment that provides a great way to cool off with a fun rush along the way. It's the ideal complement to the heat and rush of the track, so be sure to bring your swimming gear along for the visit. Due to its outdoor nature and the reflection of heat off the track, make sure to wear sunscreen as the chance of sunburn is quite high. Go Karting packages at the Hervey Bay Go Kart Track are priced on a per-minute basis with increments of anywhere between 10 minutes all the way up to an hour to choose from, and while it may get pricey for the higher-end packages it's a day of entertainment that never fails to provide both competition and bonding in the Hervey Bay area. What better way to explore the aquatic waters of Hervey Bay then by jumping on a Jet Ski Tour. This activity combines high speed fun with sightseeing to discover stunning stretches of Queensland coastline including the world heritage listed Fraser Island. No experience is necessary! Everyone is welcome to try this fun water sports activity with easy to use jet skis and safety briefings provided by Aquavue Watersports tour guides. Step on board and follow the leader as you navigate the sparkling waters surrounding Hervey Bay and Fraser Island. Riders are in control of the pace. Choose your adventure for a slower, relaxing ride or blast through the waters to get your dose of adrenaline. One of the highlights of this experience are the personal marine encounters with the likes of sea turtles, dolphins and even a few shy dugongs along the way. Sit and watch in awe, as these playful creatures go about their day within arms reach of you and your jetski. One of the highlights of this experience are the personal marine encounters with the likes of sea turtles, dolphins and even a few shy dugongs . Sit and watch in awe, as these playful creatures go about their day within arms reach of you and your jetski. Choose between a 90 minute tour to Hervey Bay and Fraser Island, a 2.5 hour tour to Fraser Island with guided walks at Kingfisher Bay Resort or the ultimate 3.5 hour jet ski adventure that includes extended time on Fraser Island with a morning tea and lunch plus snorkelling. The benefit of joining a guided jet ski safari such as these is that local guides know all the best places to swim in secluded and picturesque beaches and where to go to find marine life. First timers will also like the reassurance of having someone nearby to assist and guide you through the waters on a jet ski. You won’t believe the clarity of the water and clean beaches that are here which are reminiscent of any tropical island in the Pacific Ocean and they are all just a short ride away from Hervey Bay on jetski. The fun and low impact activity is the best way to zip around Fraser island and is suitable for both locals and visitors which is why it makes it into our top 10 experiences in Hervey Bay. The guided jet ski tours leave daily from the Aquavue waterfront café which is convenient if you want to grab a bite to eat before or after your water adventure. A long-running fixture of the Hervey Bay attractions scene, ReefWorld kicks off the appropriately aquatic series of Hervey Bay attractions by providing one of the most family-friendly introductions to the world of marine life in the region. ReefWorld sits on the foreshore in a lovely spot overlooking the waters of the Bay and is a wholly natural aquarium. It is not a highly commercialised attraction like most other big name aquariums, however, the emphasis here is truly on the organic side of things. It's a more personalised family experience that's small and quaint rather than big and overpriced. Though there are no shows, the main drawcard is the emphasis on education and interaction. Visitors can have hands-on experiences here, such as feeding a shark or touching a turtle; a favourite for kids as these marine characters often swim right up on their own. Daily feeding sessions allow guests to see the animals dining on some aquatic delicacies, and there's a great touch tank where gently touching the turtles and fish is not only permitted, but encouraged. The tanks are all naturally lit by sunlight and they contain a number of different species ranging from tropical fish and large reef fish to crabs and sharks. All of this is augmented by the passionate and enthusiastic staff who are very welcoming and always eager to teach and inform about the marine life. While there's no strict or set guided tour, staff will answer any questions you or the kids may have and are able to talk in detail about the animals, their diets, habitats and the history of the local Hervey Bay region in general. There's also an optional shark swim experience for those with a little extra courage who want to get even closer than a tank! Don't let its small appearance deceive you, ReefWorld manages to blend the educational with the entertaining, and while you may not spend multiple hours here it's still a great place to come with the kids to pass an hour or so.